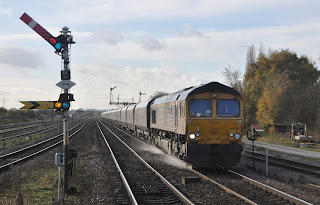 Autumn sees additional interest at Barnetby several days a week when class 20's working the 2S13 water cannon circuit pass. I first came to Barnetby in 2007, I knew then that it would be a place I would keep coming back to. The combination of a busy freight scene together with a stunning array of semaphore signals and plenty of photographic variety was a winning combination. 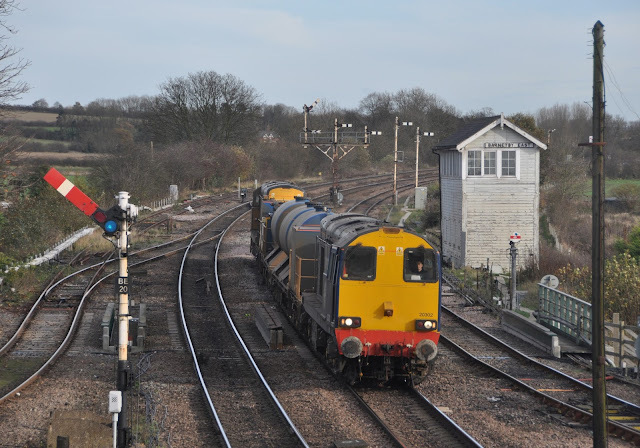 Sadly however the days of the semaphores have had a line drawn under them. On 24th December 2015 they will be used for the last time before a 17 day blockade takes place to renew all signalling equipment under the North Lincolnshire Area Resignalling scheme. 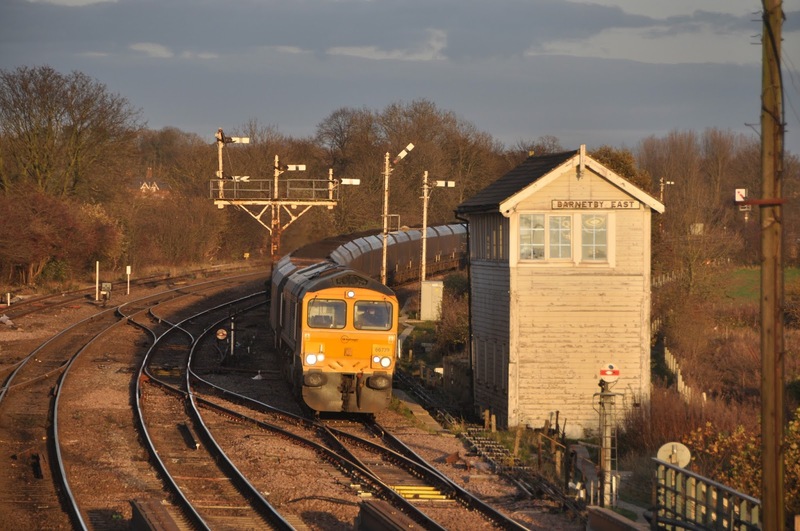 Nine boxes at Appleby, Barnetby East, Brocklesby Jcn, Elsham, Marsh Jcn, Pasture Street, Roxton Sidings, Stallingorough and Wrawby Jcn will be made redundant with control of the new signals transferring to the Route Operating Centre (ROC) in York. 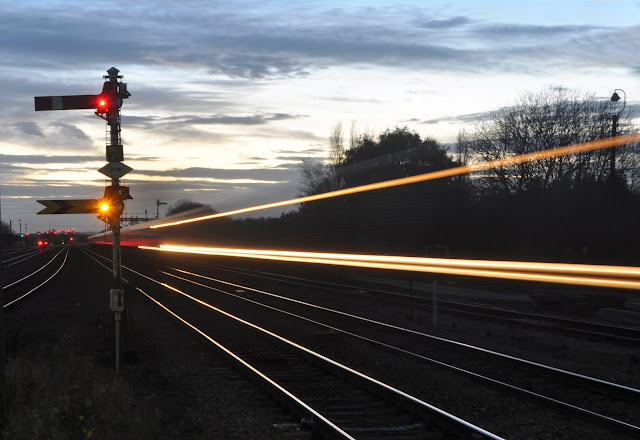 The new equipment will be more reliable than the old signals and release capacity for freight services. However photographs such as these, from my last trip to see the semaphores at work on 16th November 2015 will become a thing of the past. 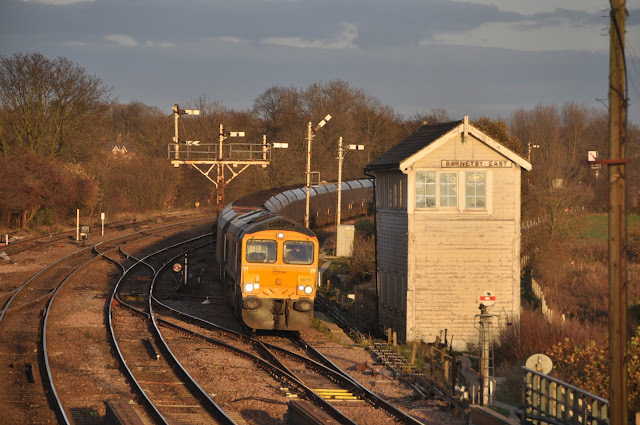 The evening light catches the semaphores controlled by Barnetby East box. All of this will be gone after Christmas 2015. The sun is setting on the semaphores at Barnetby as a passing freight train streaks across my camera lens.